Zoning was adopted in November 1975, dividing the Township into zones or districts regulating the size, location, height, and use of buildings and structures, the area and dimensions of lots that are deemed best suited to carry out the purpose of promoting public health, safety, morals, comfort and general welfare; to conserve and protect property and property values; to secure the most appropriate use of land, and to facilitate adequate but economical provisions of public improvements and prescribing penalties and proceedings for the administration and enforcement of the Zoning Resolution. We apologize for any inconvenience this may cause. If you need the Zoning Administrator specifically on these days, please leave a voice mail message (419.734.6120) or email zoning@danburytownship.com and Ms. Dale will get back to you as soon as she returns on Monday, April 29, 2019. The Board of Zoning Appeals (BZA) is a quasi-judicial board consisting of 5 appointed members and 2 alternates. Their responsibilities include hearing requests for Appeals, Area Variances, Conditional Uses and Special Exceptions. The Board of Zoning Appeals meets the 3rd Wednesday of each month unless there are no cases to be heard. Their meetings are held in the Township Hall and begin at 6:30 p.m. Anyone interested in serving on the BZA can submit an Appointed Position Application as well as their resume to the Zoning Inspector’s office. Board of Zoning Appeals applications are due the last Friday of each month by 12:00 p.m. noon. Complete applications will be place on the following month’s agenda. The Danbury Township Board of Zoning Appeals meets on the 3rd Wednesday of each month, unless otherwise noted**, at 6:30p.m. in the Danbury Township Hall located at 5972 E. Port Clinton Eastern Road, Marblehead, Ohio 43440. The only official public record of Danbury Township Board of Zoning Appeals Meeting Minutes is the paper file(s) located at Danbury Township Hall in the Zoning Department. The official approved copy of township minutes including attachments and references is available for review or purchase. Contact the Township Fiscal Officer at (419) 732-3039 or via e-mail fiscalofficer@danburytownship.com or the Danbury Township Zoning Inspector at (419) 734-6120 or via email zoning@danburytownship.com to make arrangements for record review or purchase or fill out & submit the Public Records Request form. All Board of Zoning Appeals Hearings are at the Township Hall located at 5972 E. Port Clinton Eastern Road, Marblehead, Ohio 43440 and start at 6:30 p.m. on the 3rd Wednesday of each month, unless otherwise noted in the notice. BZA-2019-056 9400 Northshore Blvd. Request for a Conditional Use in accordance with Section 3.1.3.C.iv & Section 4.6 for approval of Phase IV to allow for a 10-bed Continuing Care Retirement Building as part of a previously approved Conditional Use. Otterbein Northshore, LLC Owner/Applicant. Parties wishing to give testimony may appear in person or by attorney. Said hearing(s) may be continued from time to time as necessary. A copy of the aforementioned applications may be viewed at the office of the Zoning Inspector at Danbury Township Zoning Department during normal business hours or by clicking the case information above. ** Case information and documents will be available once the Staff Report is completed. For a detailed explanation of the BZA process, please refer to Articles 6 & 7 of the Zoning Resolution. Typically an appeal process is started once a zoning permit has been rejected by the Zoning Inspector. This is done if a property owners drawings submitted for a permit do not meet all of the zoning requirements. Before formally rejecting the permit, the Zoning Inspector will explain to the owner the deficiency and allow them the opportunity to revise the drawings in accordance with the requirements. If the owner wishes to proceed with an appeal, or if there is no other option other than to apply for a variance, the Zoning Inspector will formally refuse the zoning permit application and send a letter to the property owner outlining which sections of the zoning resolution variances will be required. Property owners do have the right to file an appeal directly to the BZA, however the owner will be responsible to ensure that all sections requested in the appeal are the only variances needed to complete their project. 1. Hear relevant, sworn testimony from the Appellant, his/her duly appointed agent or attorney, and any other person with standing to testify in a particular matter. 3. Issue a decision and findings of fact based on the merits presented and decision standards to Approve, Deny or Approve with Conditions. BZA hearings are referred to as adjudication hearings and are open to public attendance, but public comment will only be heard from a person who has standing to testify, or their representative. A person of standing is one whom has a substantial interest that will be directly affected, in a manner that is different from the effect on the general public, by the determination under consideration by the Board. All testimony shall be statements of fact and directed to the Board. Opinions, hearsay and discussion are not considered testimony and will not be heard. The right to cross examine is honored, however, the Chair may interject to ensure cross examination is conducted properly. To attest to the honesty of all testimony given in this/these adjudication hearing/s, all appellants & persons of standing will be sworn in when they give testimony. When recognized by the Chair, the person may proceed to the podium, and state their name and address so that comments may be properly recorded. Appellants are asked to try and limit their testimony to fifteen (15) minutes, including any information presented by his/her duly appointed agent or attorney. Other persons with standing to testify are asked to try to limit their remarks to three (3) minutes or less. These limitations may be extended if the Board requests or approves further testimony. At the conclusion of the adjudication hearing(s) the Board will close the public comment portion and move to deliberate and vote on each appeal. The public may not participate in this section of the meeting except upon request of the Chair or any member of the Board. Deliberations will occur in executive session. The vote, including the Findings of Fact will be made openly. All visitors are asked to sign the register upon entering the hearing room and turn off any cell phones. At the conclusion of the hearing one is present for, you are welcome to leave, but are asked to do so quietly so the Board may continue on to the next order of business. A Land Use Plan is a policy document that serves as a vision for the future which is intended to guide decision making that designates appropriate land uses based on infrastructure and development constraints for physical development. Comprised of policy statements, principles, goals, objectives, strategies and maps, the Plan guides the physical, social, and economic development of the Township and its neighborhoods, including both private and public development. Land is an exhaustible resource that once developed and converted to a use, is often difficult to change. Land will continue to be developed, but the pattern, rate, timing and location of how land is developed can be shaped by the Township through well-founded planning policies. When considering the future land use pattern the key question is not whether or not Danbury will grow, but how it will grow and change in a responsible and respectful way to serve future residents. Danbury Township issues Zoning Certificates for projects in the Township as required under Zoning Resolution. Zoning review considers whether the project meets location, size and use standards. Ottawa County issues Building Permits. Building permit review considers the structural construction of the project, seeking to ensure the integrity of the structure and safety of the work. Many projects require both a Zoning Certificate and a Building Permit. An approved Zoning Certificate is required in most instances, prior to applying for a Building Permit. Most permit applications can be reviewed by the Zoning Inspector on the day they are received or issued over the counter. Should the Inspector be unavailable or unable to issue a permit at the time it is received, then the permit will be reviewed less than 5 business days after receiving. Applications can be received via regular mail, email or fax, along with all supporting documentation, but the permit will not be released until payment is received. Once payment is received, the applicant can either pick up the permit during regular business hours or request that the permit be sent to them in the mail. There is also a secured after-hours drop available at the front door of Township Hall that is checked daily. Original copies of the application and supporting documents are kept on file at the Zoning Office. The application will receive the original permit and one copy of the approved plans. Applications requiring Ottawa County Building Department review are faxed to them as proof of Zoning Approval. The applicant is still required to go to the Building Department to submit their application, fees and submit the number of required copies of any blueprints that the County requires. In order to ensure proper placement of projects on property and to ensure that the size of the project is as approved, a preliminary and final zoning inspection will be conducted. Inspections are typically conducted on Wednesday’s, but special arrangements can be made with the Zoning Inspector. All inspections have to be called in and are in addition to any inspections required by the County Building Department. All inspections should be finalized and passed prior to occupying the space constructed. Any new lots that are created must meet the lot size requirements of the zoning district in which the property is located. To verify the zoning classification, please contact the Zoning Department at (419) 734-6120. The zoning classification and lot size requirements are listed in the Zoning Resolution. Recorded subdivision plats that show lot dimensions and street right-of-way widths can be found at the Zoning Department or the Ottawa County Recorder's Office. All complaints or concerns regarding a property in the Township is required to fill out one of the two complaint forms below. Telephone complaints will not be accepted or given the same priority as a written complaint. Complaints concerning tall grass, abandoned property, or junk vehicles must file a Nuisance Complaint form. This form must be signed by the complainant. The form can then be submitted to the Zoning Department or directly with a Trustee. At the next Trustee meeting, the Board will discuss the issues of the complaint and a Trustee will be assigned the case to follow-thru on. Complaints concerning potential Zoning Violations, (i.e. Construction with no building permit, illegal business operation, illegal rentals) must fill out a Zoning Violation Complaint form. Anonymity is acceptable. The form must be submitted to the Zoning Department before the Inspector will start the investigation. Every violation is allotted a timeframe for compliance based on the severity of the situation. The position of the Township is to work with a property owner and provide reasonable time for compliance prior to filing court action. In most cases, a Warning Letter will be sent to the property owner outlining the infractions and the time period to comply. Upon reinspection, if the owner has failed to comply, another letter “Final Notice to Comply” will be sent. If upon the follow-up inspection, the owner still has not complied, then all photographs, letters and any other supporting documentation concerning the violation will be forwarded to the Trustees to declare a Nuisance and potentially abate, or to the Township's Legal Counsel or to the County Prosecutor. For a complete outline of the violation process, please view the Danbury Township Complaints & Violations Procedure Policy established in 2013. The Zoning Commission (ZC) is a board consisting of 5 appointed members and 2 alternates. Their responsibilities include hearing requests for Text Amendments and Map Amendments to the Zoning Resolution and Map. They are a recommending body to the Board of Trustees. The Zoning Commission meets typically the 1st Wednesday of each month at 6:30 p.m. in the Township Hall. Anyone interested in serving on the Zoning Commission can submit an Appointed Position Application as well as their resume to the Zoning Inspector’s office. Zoning Commission applications are due a minimum of 30 days prior to the meeting date by 12:00 p.m. noon of the deadline date. Incomplete applications will not be accepted. The Danbury Township Zoning Commission meets on the 1st Wednesday of each month, unless otherwise noted, at 6:30p.m. in the Danbury Township Hall located at 5972 E. Port Clinton Eastern Road, Marblehead, Ohio 43440. The only official public record of Danbury Township Zoning Commission Meeting Minutes is the paper file(s) located at Danbury Township Hall in the Zoning Department. The official approved copy of township minutes including attachments and references is available for review or purchase. Contact the Township Fiscal Officer at (419) 732-3039 or via e-mail fiscalofficer@danburytownship.com or the Danbury Township Zoning Inspector at (419) 734-6120 or via e-mail zoning@danburytownship.com to make arrangements for record review or purchase or fill out & submit the Public Records Request form. All Zoning Commission Meetings are at the Township Hall located at 5972 E. Port Clinton Eastern Road, Marblehead, Ohio 43440 and start at 6:30 p.m. on the 1st Wednesday of each month, unless otherwise noted in the notice. ZC-2019-041 249 S. Bridge (SR 269). Request for a Map Amendment from “R-3” High Density Residential to “C-2” General Commercial for PIN# 0140467606665000 (Sec. 4, Lot 3 Firelands Survey) consisting of 19.885 total acres. Marjory Kobylski, Owner/Applicant; Safe Harbor Development, Mark Montgomery, Agent. A copy of the application may be viewed at the office of the Zoning Inspector at Danbury Township Hall during normal business hours. 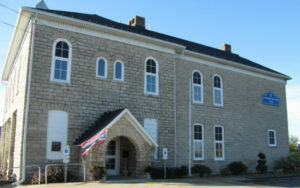 The amendment may also be viewed at the Ottawa Regional Planning Commission office at the Ottawa County Courthouse or by clicking on the case information above. At the conclusion of said hearing and upon a decision made, the amendment will be submitted to the Danbury Township Board of Trustees for action. Text and map amendments are required to follow the process outlined in the Ohio Revised Code Section 519.12. Within 5 days of receiving an application the Township forwards the application to the Ottawa County Regional Planning Commission (OCRPC) which meets the 3rd Tuesday of each month in the County Courthouse at 7:00p.m. Within 20 days and no more than 40 days of receiving an application, the Zoning Commission will hold a public hearing, which is the 1st Wednesday of the month, (or the month following the month the application was received; Application received in January = February ZC hearing). The commission will take into consideration the recommendation of OCRPC and vote to approve the request, deny or approve with modifications. This recommendation is certified to the Board of Trustees within 30 days after the ZC hearing (typically done the following week at the Trustee’s regular meeting), at which time the Trustee’s are requested to schedule a public hearing before them. Upon receiving the receipt of the ZC’s action, the Trustee’s are required to schedule a public hearing within 30 days. This hearing is typically held the 1st meeting (2nd Wednesday) of the month for the Trustees (ZC hearing in February = Trustees hearing in March). The Trustee’s typically hold the public hearing on the request prior to the start of their regular meeting. The Trustees shall reach their decision to approve the request, deny or approve with modifications within 20 days of holding their hearing on the request. Again, the typical practice of the Township is to reach a decision on the night of the hearing and pass a resolution on such action. However, in some circumstances, the resolution adopting their action from the hearing may not occur until their next meeting, which is less than 20 days after the hearing. Once the resolution is passed and adopted, the amendment does not become effective until 30 days after the date of the resolution passing and adoption. Once the 30 day period has passed, and no petition has been filed opposing the amendment and action of the Trustee’s, the Zoning Inspector records the adopted resolution and amendment at the Ottawa County Recorder’s office. Current Zoning Resolution & Map - Please call (419) 734-6120 for zoning verification. New Maps will be posted as completed.